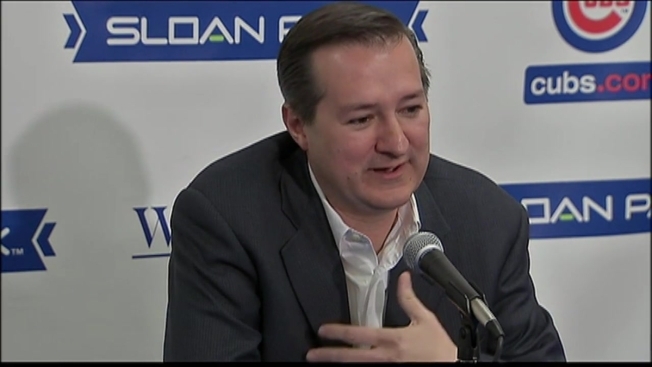 Earlier this week, presidential candidate Donald Trump called out the Ricketts family for making donations against his campaign, and on Wednesday, Chicago Cubs Chairman Tom Ricketts addressed the candidate’s criticism. Speaking to reporters in Arizona before the Cubs begin spring training workouts, Ricketts defended his family’s fundraising for Republican candidates. “It’s a little surreal when Donald Trump threatens your mom,” he told reporters. “The fact is, whether it’s my mom or my dad on his Ending Spending stuff or my sister on marriage equality or my brothers and what they do or what we do with the team, we’re pretty much an open book. “We stand up for what we believe in. That’s what America should be,” he added. The controversy was stirred up after Trump criticized the Ricketts’ family for spending Super PAC money to go after the Republican frontrunner. "I hear the Rickets family, who own the Chicago Cubs, are secretly spending $'s against me. They better be careful, they have a lot to hide!" the Republican presidential candidate wrote on Twitter. According to a report by USA Today, family matriarch Marlene Ricketts contributed $3 million to an anti-Trump campaign, spurring the candidate to write the tweet.